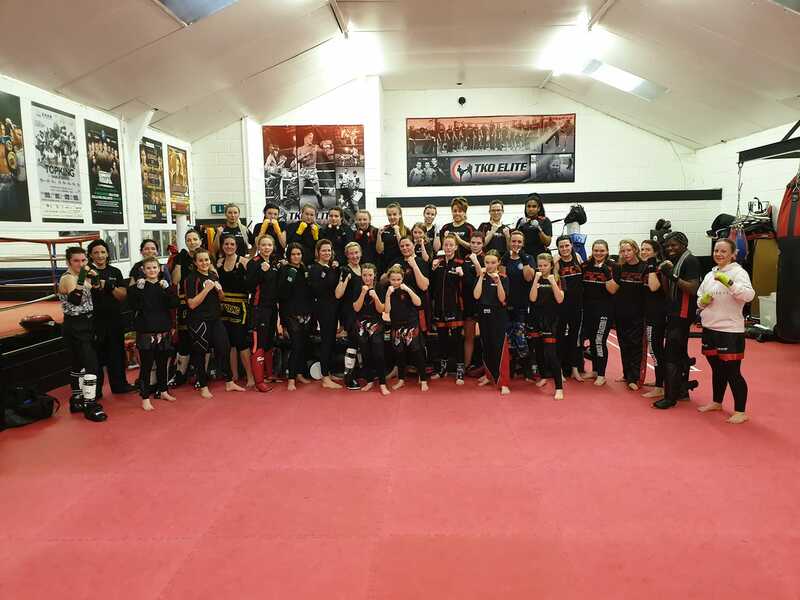 TKO Elite’s Kelly Chubb conducted a sparring seminar for female members only yesterday and it proved to be a massive success with members of other leading gyms travelling to train with Kelly as well, a nice mark of respect for someone whose competitive career was so successful. It was made clear that the seminar would be suitable for all levels and so it was nice to see both the very inexperienced training alongside several very experienced fighters, some of whom have won major titles. Working from sparring drills right through to technical sparring the two hours of the seminar passed very quickly and in a great atmosphere, everyone helping each other. Big thanks to those who came along from Star Kickboxing in Gravesend, Hastings Kickboxing Academy, KICKS from Brighton, FCA in Bexhill and from Falcons Kickboxing in Margate. Your support really is appreciated.